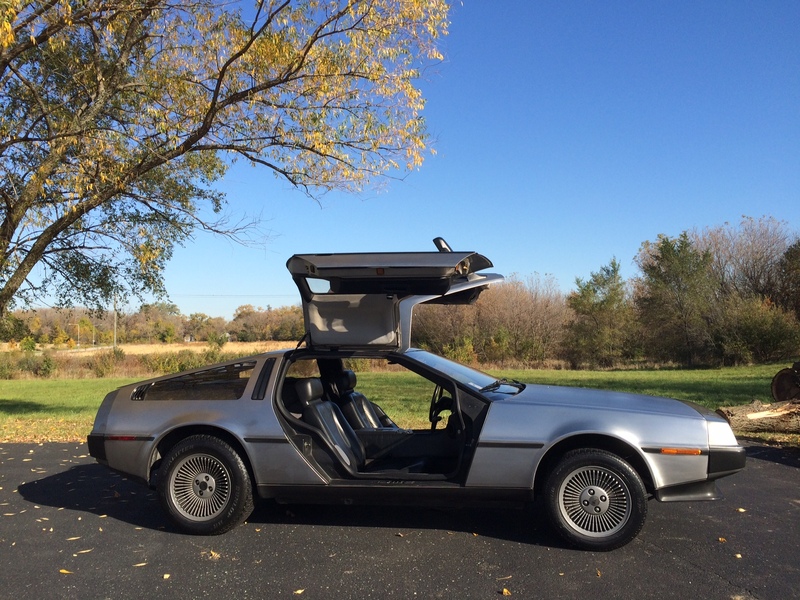 Win this 1981 DeLorean Sports Car! Thank you for your support and for a successful 2016 Convention! Watch in the future for information about our next event which will be held in 2018! 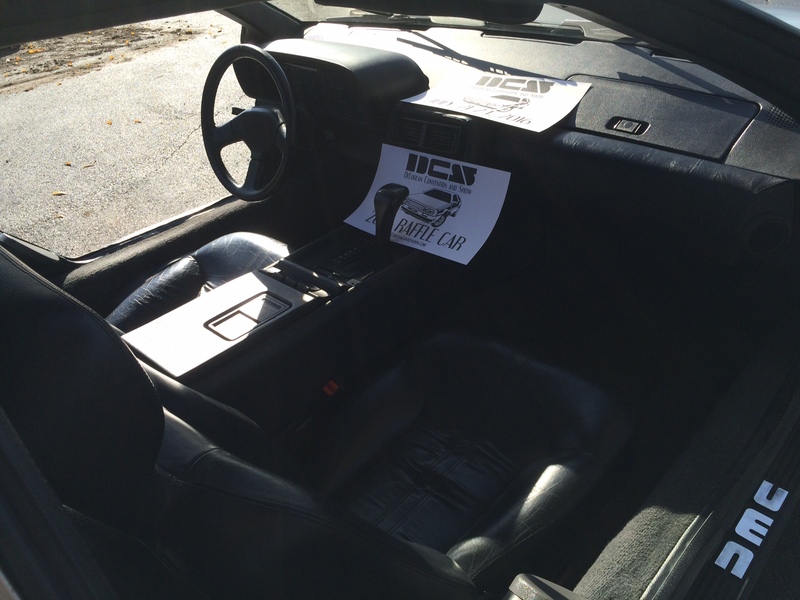 To support the 2016 DCS (DeLorean Convention and Show), we are raffling a 1981 DeLorean Sports Car in July 2016 during the DCS events in Springfield, Illinois. This car will be raffled with no minimum sales required. The winner does NOT need to be present to win! 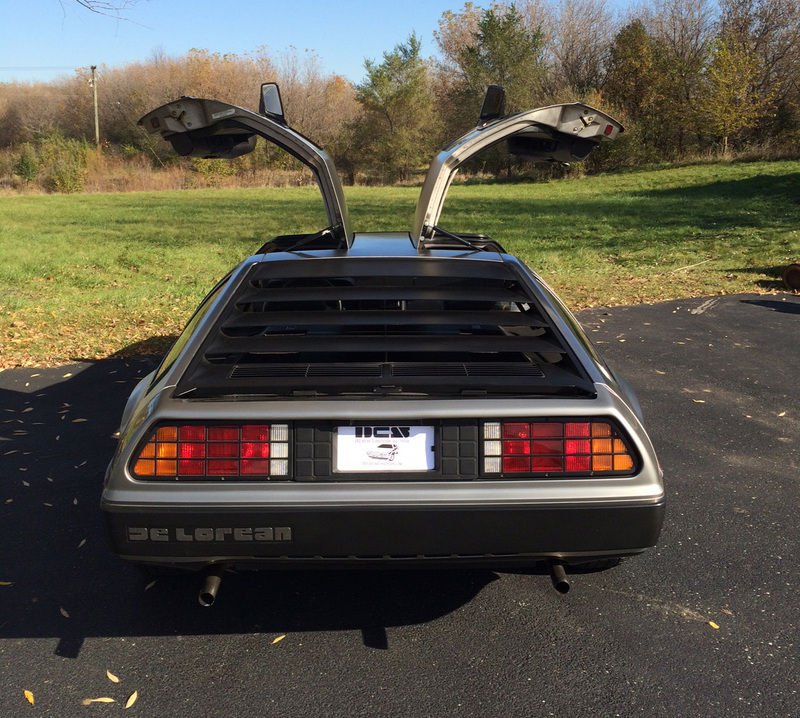 1981 DeLorean, Black Interior, Automatic Transmission, Original Gas Flap hood, VIN #SCEDT26T8BD000965. Vehicle will have less than 70,000 miles on it - as it is currently being driven to various events and promotions. New integrated fuel pump and sender unit with fully cleaned fuel tank and lines. 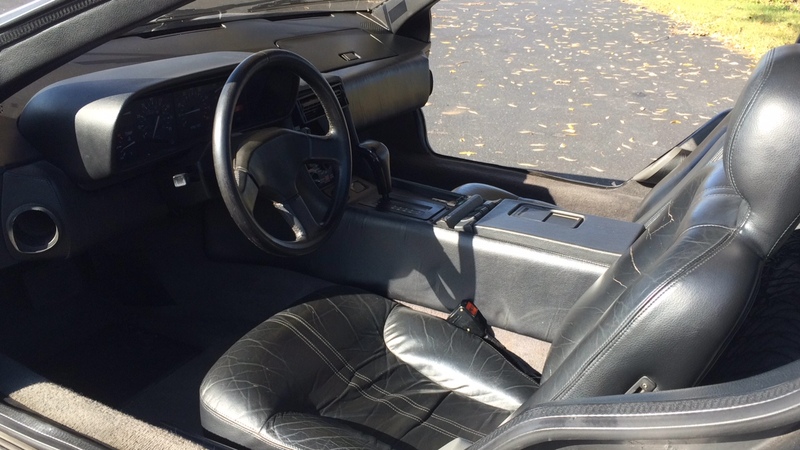 Cleaned and refurbished original black interior. Additional maintenance and updates will be posted here as completed. 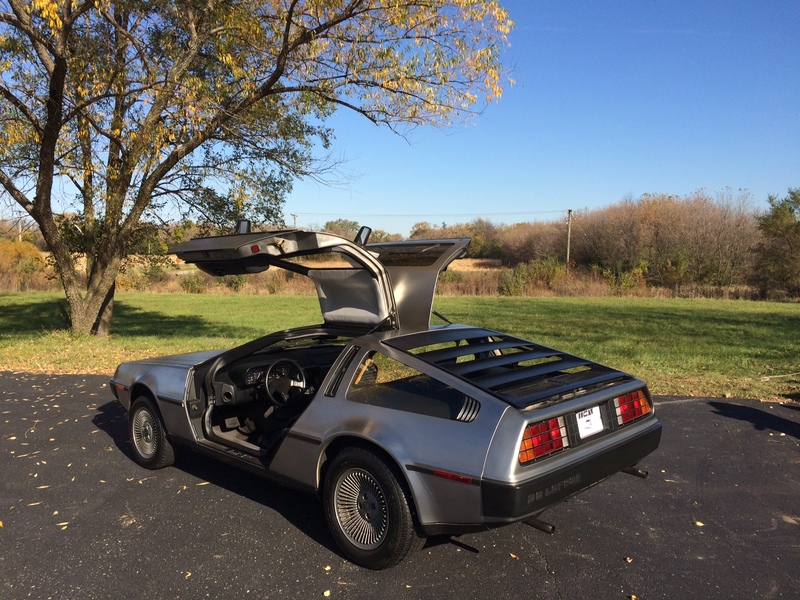 Please buy raffle tickets and support the 2016 DeLorean Convention and Show! 1. RAFFLE TICKET PURCHASE IS NECESSARY TO ENTER OR WIN. The purchase price has been set at $50.00 each. Only a maximum number of 1000 tickets will be sold. When 1000 have been sold, the online purchasing system will be closed. 2. ELIGIBILITY: The Raffle is open only to legal residents and international residents who are 18 years of age or older as of 11/01/2015 (unless restriced by law in your specific state or country by applicable law). 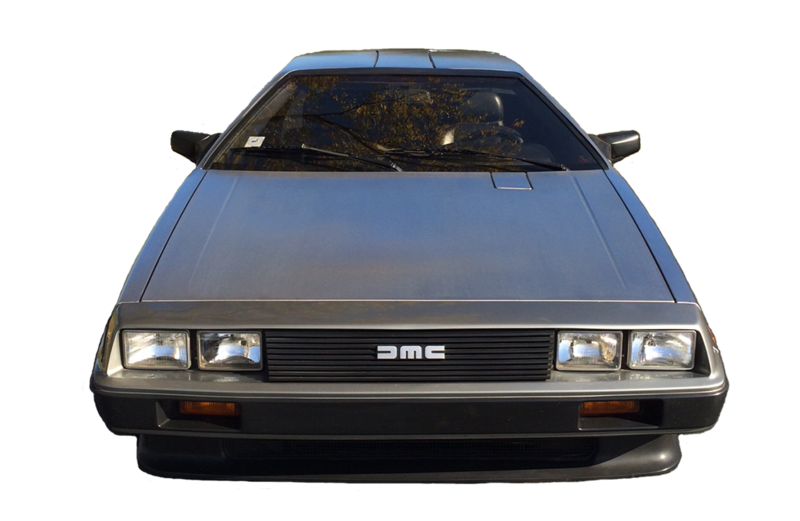 Employees of the Sponsor "DeLorean Convention and Show" and its parents, subsidiaries, affiliated companies, dealers and agents, and foregoing employees' household or immediate family members (defined as parent, spouse, child, sibling, or grandparent) are NOT eligible to enter the Raffle. 3. TIMING: The raffle begins at 5:00pm. Central Standard Time ("CST") on 11/01/2015 and ends on July 22, 2016. 4. HOW TO ENTER: No entry limit per person. Entry is available online or at the event. 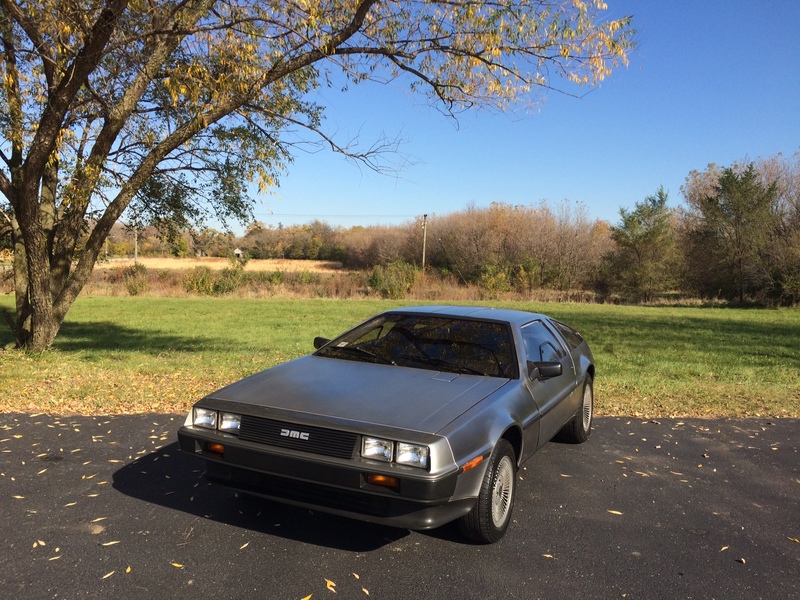 To enter, visit www.deloreanraffle.com. Correctly complete the official entry form and transmit as directed. All required information/fields must be fully and accurately completed or entry will be voided. Sponsor reserves the right to include a Sweepstakes official entry form at any additional authorized website or other authorized location. Refunds will not be issued. 5. PRIZE: The following prize will be awarded: a) One (1) used, 1981 DeLorean Sports Car; Sponsor is awarding the prize vehicle on an "AS-IS" basis without warranty, guaranty or representation of any kind express or implied (including without limitation any implied warranty of merchantability or fitness for a particular purpose, safety, legality for use in the winner's state [including compliance with emissions regulations], durability, reliability, and/or performance). WINNER WILL BE SOLELY RESPONSIBLE FOR ALL EXPENSES INCURRED TO SHIP THE PRIZE VEHICLE (OR, FOR THE WINNER TO DRIVE THE PRIZE VEHICLE) TO THE WINNER'S RESIDENCE. All International winners would also be responsible for any applicable taxes, customs or duties owed. Winner is solely responsible for all applicable fees and expenses related to the acceptance, award, and use of his/her prize, including (but not limited to): a) Prize vehicle expenses (including but not limited to registration [plus any additional or replacement equipment/parts, and installation costs required for registration], license, title, insurance, gas, and maintenance); b) any other expenses not specifically listed herein. The procurement of all items included in the foregoing list is the winner's sole responsibility. The prize is nontransferable and must be accepted as awarded. No cash or other substitution may be made, except by Sponsor in the event that a prize or part thereof cannot be awarded for any reason in which case, Sponsor will in its sole discretion award a substitute prize or part thereof of equal or greater value. Subject to the conditions herein, prize will be awarded. Winner is solely responsible for any and all applicable federal, state, and local taxes (including where applicable sales tax) due for an awarded prize. 6. RANDOM DRAWING: A winner will be selected by Sponsor in a random drawing from all eligible entries received. By entering Raffle, participants agree: a) To be bound by these rules; b) that winning is contingent upon fulfilling all the requirements of these rules; c) that the decisions of the Sponsor shall be final and binding in all respects. Odds of winning depend on the total number of eligible entries received. 7. NOTIFICATION: Winner will be notified at the time of drawing. Potential winner does NOT need to be present to win. Winner must correctly complete, execute and return as directed an Affidavit, Waiver, Release and Indemnity Agreement including, where lawful, a Publicity Release (plus any additional documents required at the sole discretion of Sponsor). Failure to comply with the requirements of this paragraph (or the return of any prize or prize notification as non-deliverable) may result in disqualification and in the forfeiture of any right to a prize, in which case prize may be awarded to an alternate by random drawing. 9. RELEASE: By participating in the Raffle and/or accepting a prize, a participant/winner agrees to defend, release and hold harmless the Sponsor, and its parents, subsidiaries, affiliates, divisions, advertising and promotion agencies, and the foregoing companies' officers, directors, shareholders, members, managers, employees, representatives, and agents (collectively "Releasees") from and against any actions, claims and/or liability for injury, death, loss or damage of any kind (including any for the violation or infringement of any proprietary or personal right of any individual or entity)("Liability") resulting in whole or in part, directly or indirectly, from participant's participation in the Raffle, and/or participant's use, acceptance, or possession of a Raffle prize, and/or participant's participation in a Raffle prize-related activity. By participating in the Raffle and/or accepting a prize, a participant/winner consents to and gives the Sponsor the right to interview, photograph/video a winner, and in perpetuity to freely and exclusively use, publish, and display a winner's (and where applicable a participant's) names, address, entry form, picture, portrait, likeness, voice, video, statements, quotes, biographical information, and prize information (in whole or in part, as may be adapted, edited, or modified, as solely determined by Sponsor) for advertising, trade, publicity and promotional purposes in any media now known or hereafter discovered, worldwide, and on the World Wide Web, without review, notification or approval, all without additional consideration, unless prohibited by law. Entries will not be acknowledged or returned. 10. CONDITIONS: Participants agree that by participating in the Raffle they release the Releasees from any Liability in connection with: a) Entries that are ineligible as a result of being lost, late, illegible, damaged, incomplete, stolen or misdirected; b) any typographical or other human or technical errors in the offer or administration of the Raffle, including but not limited to errors in advertising, these official rules, the selection and announcement of a winner(s), or the distribution/awarding of a prize(s); c) any omission, interruption, deletion, defect, delay, misdirection, damage, injury, technical malfunctions or traffic congestion on the Internet/telephone network, or at any website, or any combination thereof; or d) acts of God, natural disasters, or other force majeure matters out of Sponsor's control. Sponsor reserves the right to modify these rules for clarification purposes without materially affecting the terms and conditions of the Raffle. If for any reason the Raffle is not capable of running as planned as a result of but not limited to an error, omission, defect, delay, misdirection, tampering, unauthorized intervention, fraud, action of entrants, infection by a computer virus/worm, technical failure, natural disaster, act of God, disruption of the public markets, act of terrorism, war or any other cause which in the sole opinion of Sponsor corrupts or affects the administration, security, fairness, integrity, or proper conduct of the Raffle, the Sponsor reserves the right at its sole discretion to withdraw, cancel, terminate, modify or suspend the Raffle without obligation or prior notice and in such event to determine the winner via random drawing from among all valid entries received up to the time of such cancellation, termination, modification or suspension. In such event, Releasees shall have no liability to any participant who is disqualified due to such an action. Failure to enforce any term of these official rules shall not constitute a waiver of that provision. 11. LAWS: Subject to all federal, state and local laws and regulations. Void where prohibited or restricted. 12. WINNER'S LIST: The winner's information will be posted at http://www.deloreanconvention.com and on its affiliated Facebook page. 13. 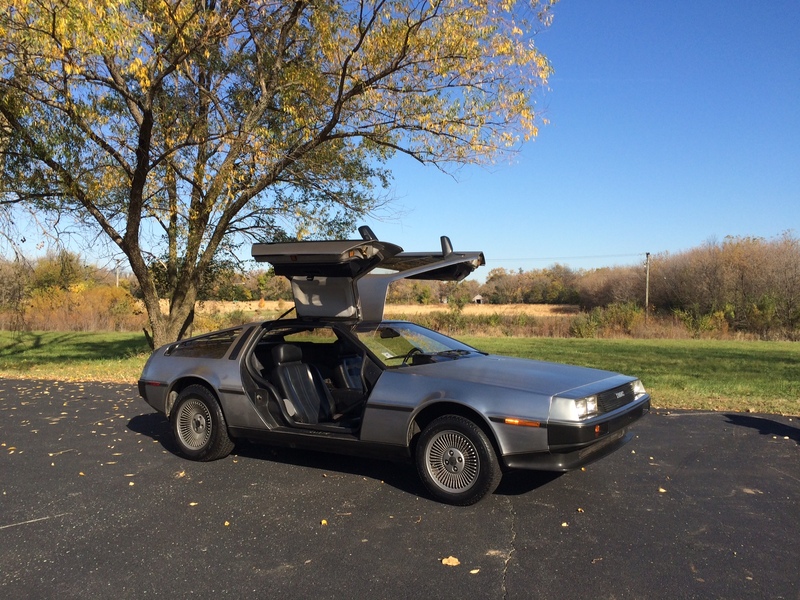 SPONSOR: DeLorean Convention and Show, 9654 W. 131st Street, Suite 106, Palos Park, IL 60464 (the "Sponsor").